Bodegas Barahonda offers a complete package for those who enjoy not only learning about, and appreciating the different nuances of wine from each of the wine-producing D.O areas within the Murcia Region, but also those who take pleasure in combining fine wine with fine food in attractive surroundings. Bodegas Barahonda is steeped in the history of winemaking, but has adopted a thoroughly modern and contemporary attitude to its investment into the future, and is the home of one of the most attractive and elegant bodegas in the Murcia Region, a visit to this bodega calming, satisfying and enriching. Visitors are advised to arrive with an empty boot and full wallet, as the temptation to buy more than the normal couple of bottles to try at home is irresistible, once having sampled the wines alongside the excellent dining options on offer. Disappointingly, these wines are elusively difficult to find in retail bodegas across the region as most of the production is exported, so if you like what you try, buy in situ to avoid frustration later, although the bodega does also offer an online service with home delivery. The bodega offers visits and tastings without the need to eat in the restaurant, and diners are welcome to book for the restaurant without taking a tour of the installations. Full packages are offered combining all three elements, for groups from between 2 and 60 people in English and Spanish, all by prior arrangement. The Yecla DO was granted in 1975, although wine has been produced in this area for thousands of years. Ample evidence of Roman occupation can be seen in Yecla today, with a stretch of the Vía Augusta, the main Roman communications which linked the Spanish territories to those in France and on to Rome, running through modern-day vineyards and the discovery of the Torrejones Roman villa in the municipality, a major agricultural site. Remains of Roman Yecla can be seen in the Archaeological Museum. 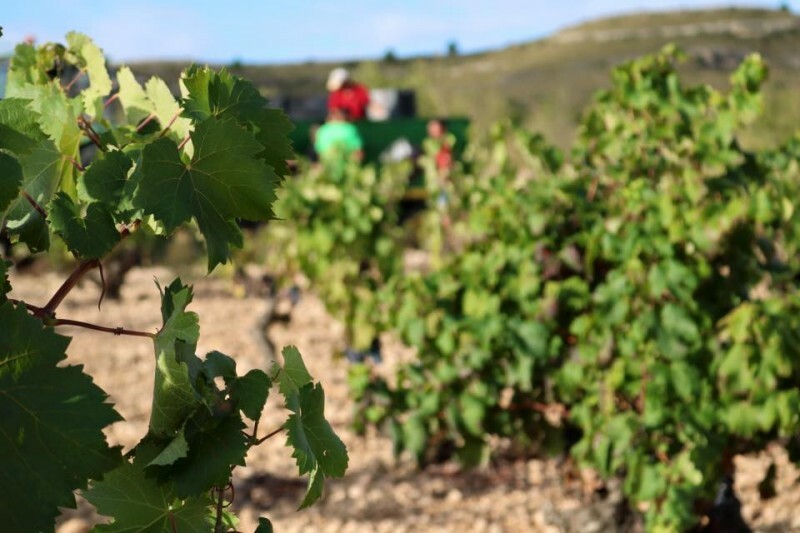 Wine production in Yecla has been part of the local economy for centuries and production in the Candela family which runs Bodegas Barahonda, can be traced back to the middle of the 19th century when written records first record wine sales made by Pedro Candela Soriana. In 1925 Antonio Candela García founded the family bodega, which was subsequently run by Antonio Candela Poveda and later by his sons Antonio and Alfredo, these four generations bringing their intimate knowledge of the soil, vines and climate to bear in the products of the bodega today. The striking premises which welcome visitors today was built in 2006 and is surrounded by vineyards cultivated by the family, some of the vines nearly a century old. While this in itself makes for a picturesque setting, it is also highly practical, as visitors can walk straight out of the front door and into a parcel of vines in order to learn the basics about the cultivation and cropping of grapes. Yecla produces one D.O; D.O Yecla, and is surrounded by the DO areas of Jumilla, Alicante and Almansa. There are two distinct areas of cultivation; Campo Arriba and Campo Abajo, literally, high, or low fields, the area sitting on the edge of the Cordillera Subbética mountain range, 80km inland from the coast and on the edge of the hot, dry interior of central Spain. Vineyards in the DO range from 400 metres above sea level (1312 feet) to 800 metres, (2625 feet). 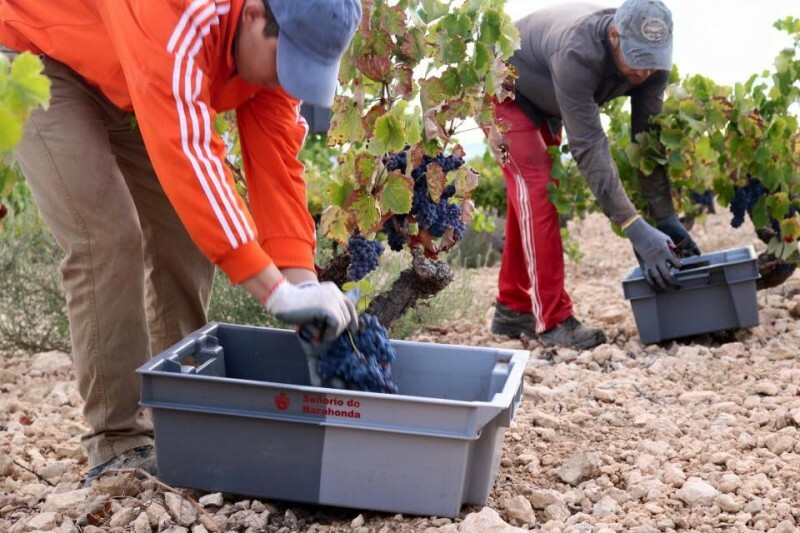 Bodegas Barahonda owns 150 hectares of its own vines and buys grapes from a further 600 hectares, controlling the production in collaboration with the agriculturalists farming the plots, with plots in both Campo Arriba and Campo Abajo. Campo Arriba vineyards are spread across different parcels in the north of Yecla at a height of between 700 and 800 metres above sea level, the soil 80% limestone, 5% sand and 15% clay, whereas the plots in Campo Abajo are between 400 and 500 metres, with a soil 30% limestone, 5% sand and 65% clay. These varied soil conditions, combined with low rainfall, annual climate fluctuations between– 6 ºC in winter months and 40 ºC in summer months and diurnal variations in temperature favour a slow ripening and concentration of flavour on vines with comparatively low yields, particularly the most widely produced grape in the Barahonda armoury; Monastrell. This vine puts down very deep roots and produces a gutsy, deep red wine which is fresh and packed with mouth-popping tannins when young, and ages well in oak, with plenty of potential for blending. 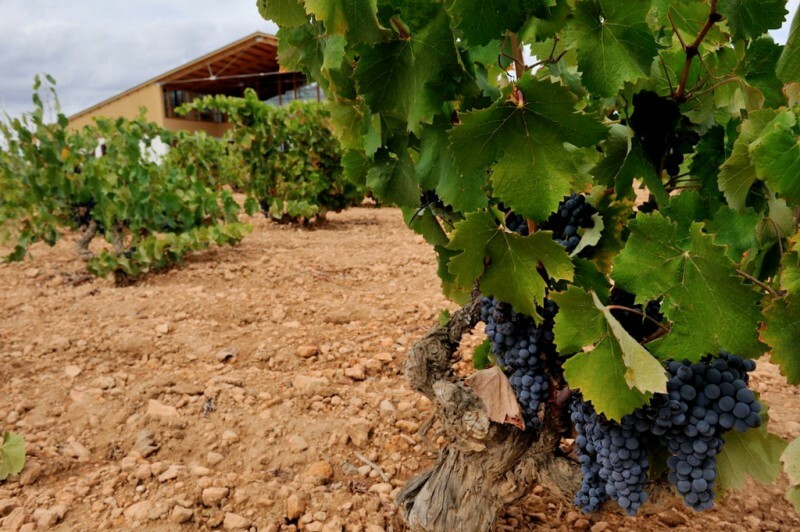 The bodega also grows Merlot, Syrah, Cabernet Sauvignon, Tempranillo, Tintorera and Petit Verdot with which to produce red wines, and Verdejo, Macabeo and Airén, for the production of white wines. Barahonda Organic: A coupage of Monastrell and Syrah, farmed organically, aged in French oak for six months. 100% Petit Verdot, aged in American oak for 16 months. Full bodied, fruity, striking cherry red. 100% Monastrell, aged for 16 months, before blending, with 90% American oak and 10% French oak aging. Intense toasted aroma and deep fruit body. Recommended for desserts. Limited production of 2050 bottles. A blend of Monastrell and Syrah grapes, with long maceration at 25ºC, aged in French oak for six months, bottled and cellared for further six months. Strong cherry red, smooth, hint of light oak, refreshing autumn fruit notes and lingering texture. Very palatable red, better at slightly warmer temperatures between 16º/18ºC. A good buy in its price bracket. Verdejo yields a striking clear yellow wine with green and citrus notes. Best served with fish or seafood. This wine was produced from 50 – 55 years old Monastrell vines and 20 – 25 years old Syrah and Petit Verdot vines, aged for 12 months in American and French oak. Made with Monastrell and Cabernet Sauvignon grapes. 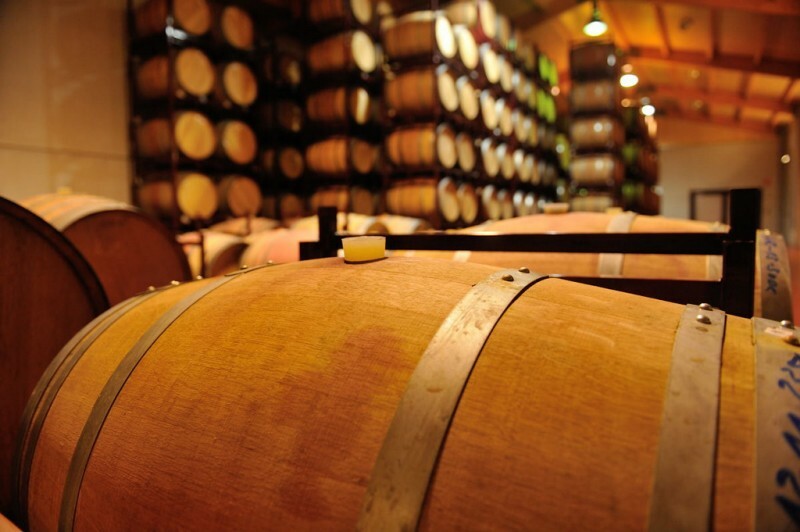 The Cabernet Sauvignon is aged separately for 3 months in American and French oak barrels. Made from 100% Monastrell grapes from vineyards older than 60 years and grown in dry climate conditions. Less than 800 gr per vine. Made in low capacity vats. Aging in French barrels (500 litres) for nine months. Varieties: Monastrell, Syrah and Tintorera. Aged 3 months in French oak barrels. There are various options available for those wishing to visit the bodega. Tours start in the vineyards outside the installations, before moving inside the chic modern building to see the whole process of winemaking, touring the production and bottling areas. Options are available for those who wish to taste wine after the tour and wine can be purchased from the bodega shop. Tour times: Tuesday to Saturday at 11:30 or 12:00, always by prior appointment, but can be arranged to suit timetables for larger groups. Tour including winetasting costs 10€, but is reduced to 5€ if visitors choose to eat in the restaurant afterwards. 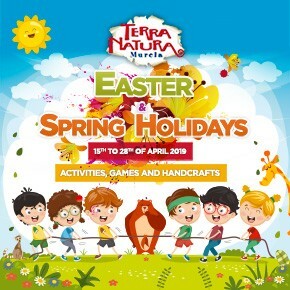 It is also important to pre-book the restaurant as it may be unavailable if there are pre-bookings. 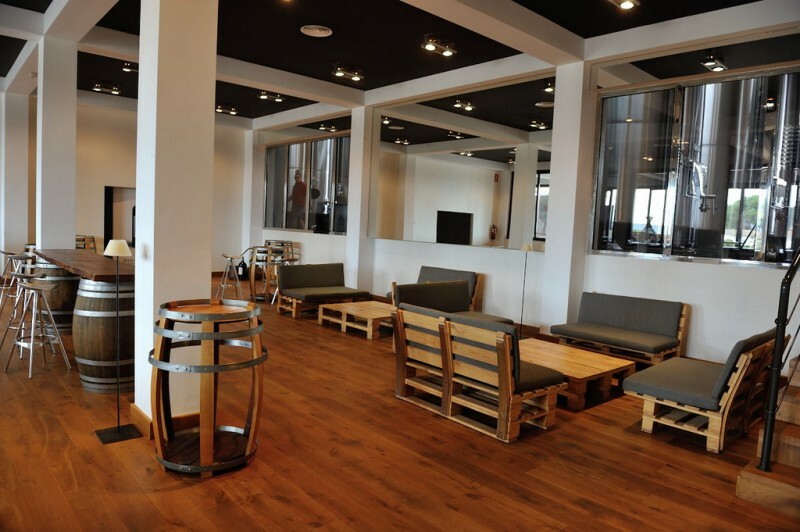 The restaurant in Bodegas Barahonda is designed to offer a quality dining experience in the stylish surroundings of the Bodega installations and vineyards. The restaurant has a clean, modern style, with sweeping landscape windows allowing diners to feel at one with their surroundings and is tastefully decorated, successfully combining the atmosphere of a working bodega with that of a quality restaurant. The chef is Cristian Palacio, a young chef from Zaragoza who is attracting a lot of attention within the region. In 2016 he was named best chef in the region by the regional gastronomic awards, and his style is elegant and creative. On a personal note, the Ed can honestly say that this was amongst the best, if not the best, meal eaten since moving to Murcia in this price bracket, as although the techniques used demonstrated a controlled technical capability, the sympathetic selection of ingredients which worked together harmoniously neither overpowered, nor under-supported the core flavour of every dish. Every ingredient complemented its companions and dishes were balanced and considered, a combination which is surprisingly rare. Portions were neither too large, nor too small, and although the intelligent combinations of flavours left the tastebuds crying out for more, more, more, the meal was sufficient to satisfy the hunger worked up by climbing a mountain before 10am and then touring the installations. Although the dishes could not be said to be revolutionary in their creativity they were certainly a cut above the average, were perfectly cooked, beautifully balanced and totally satisfying. Presentation was attractive and tidy and the wines perfectly complemented the food served. The restaurant was awarded a sun by the Guía Repsol for 2015, an award which has been repeated in the 2016 and 2017 editions. 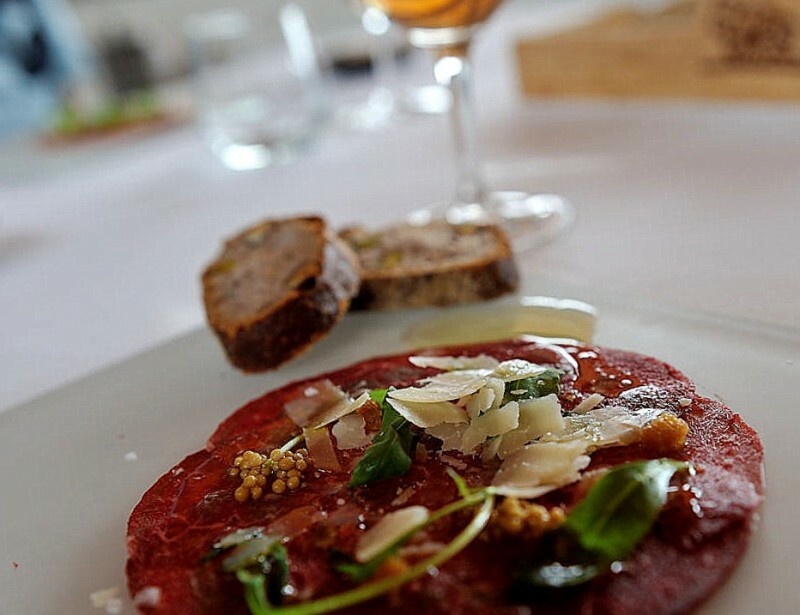 The restaurant can be visited independently of a wine tour and booked for private functions. There are several menu options (contact the bodega if you would like to review menus before deciding) and prices include wine from the bodega. Lunchtime: Menú Barahonda (30€), Menu Enoturista (40€), and Tiempos Pasados (60€) and Tiempos Presentes (60€). Friday evening, Saturday and Sunday; Menu Enoturista (40€), and Tiempos Pasados (60€) and Tiempos Presentes (60€). The bodega has a shop which is open for purchases, regardless of whether you participate in a wine tour or not. The bodega also offers an online service.